David Keller is President and a founding shareholder in the trial firm Keller Landsberg PA. For over 20 years, Mr. Keller has been widely recognized for his practice of defending lawyers and law firms in legal malpractice cases, and counseling law firms on risk management issues. Mr. Keller also has extensive experience with general commercial and insurance litigation, including business disputes, commercial tort claims, insurance coverage opinions and declaratory judgment cases, business property insurance claims, arson, fraud, and bad faith cases. More recently, he has also been called on to review and testify as an expert witness regarding fee applications and to review and consult on extensive fee submissions from outside counsel for compliance with insurance company billing guidelines and The Florida Bar Rules of Professional Conduct. In addition to his long-time defense practice, he has successfully handled a number of plaintiff personal injury claims and suits, securing several substantial jury verdicts and settlements for injured parties. Mr. Keller has tried more than 50 cases to jury verdict, and handled numerous non-jury trials, significant arbitration proceedings and appeals in both state and federal courts and before the American Arbitration Association. He is currently completing his second four-year term on the Seventeenth Judicial Circuit Nominating Commission, and served as Chair of the JNC (2016-2017) following his nomination by the Florida Bar and successive appointments by Governor Rick Scott. More recently, he was appointed to the Fourth District Court of Appeal Judicial Nominating Commission for a four-year term commencing in 2018. Mr. Keller has been elected to membership in the Federation of Defense & Corporate Counsel, and the American Board of Trial Advocates (recently earning the rank of Advocate in recognition for his extensive history of jury trials), and maintains membership in the Defense Research Institute. Mr. Keller was named Trial Attorney of the Year for 2016 by the Fort Lauderdale Chapter of the American Board of Trial Advocates. 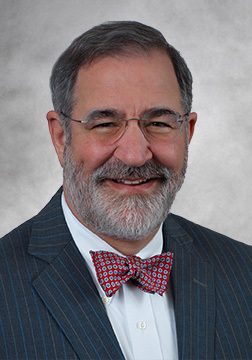 He served as a member of the American Bar Association House of Delegates from 1990-1992 and 2002-2006, and has served the Florida Bar and local bar associations in various capacities, including as President of the Fort Lauderdale Chapter of ABOTA (2009), President of the Broward County Bar Young Lawyers Section, President of the Broward County Federal Bar Association (1997-1998), Chairman of a local Grievance Committee, service on The Florida Bar Young Lawyers Division Board of Governors, and as a member of The Florida Bar Civil Rules Committee. He has also served as a member of the Board of Directors of The Harmonie Group, a national affiliation of leading commercial defense firms. Mr. Keller co-authored (with Michael Krueger) Update on Cumis Counsel, Florida and Other Selected Perspectives, FDCC Quarterly 3 (Spring, 2006), and has lectured to professional groups, law firms, and insurers on insurance coverage matters, legal malpractice developments, risk management and prevention, and on demonstrative evidence and email and electronic discovery issues. Mr. Keller has been an AV rated lawyer with Martindale-Hubbell® since 1992 and is currently rated AV Preeminent®. He has also been listed in The Best Lawyers in America® (a nationwide peer-selected listing of attorneys) in the area of legal malpractice since 2008, has been listed as a Top Lawyer by the South Florida Legal Guide since 2006, and as a Florida Super Lawyer (2010-2018). Mr. Keller is an instrument-rated pilot who operates his own aircraft for business and pleasure, enabling him to effectively handle cases throughout Florida. He served as President of Temple Beth Israel from 2005-2007. He received his B.A. in History with honors from Florida Atlantic University in 1976, and his J.D. from the University of Florida in 1979. Bar-Required Disclaimer: This attorney’s significant results may include past case results or client testimonials or comments regarding the quality of his work. Please first read and acknowledge that you understand the following notification. Your acknowledgment will provide you with immediate access to this attorney’s significant engagements which currently contains: past case results, including any published appellate decisions. The requested information on that page has not been reviewed or approved by The Florida Bar because it is not required by Bar advertising rules. However, all the information on our website is governed by other Florida Bar rules which prohibit information from being false or misleading.